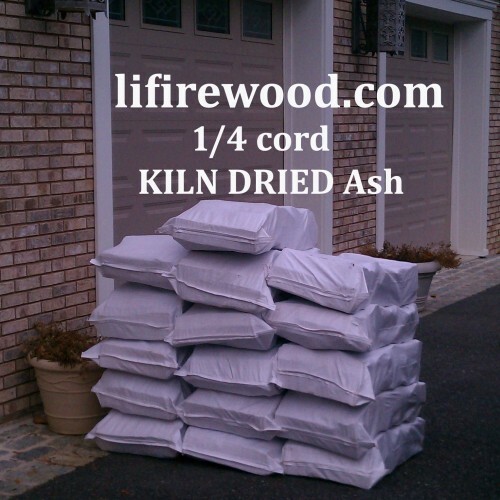 Our KILN DRIED Ash is not available anywhere else on Long Island. This full 1/4 cord is delivered in (16) large bags that will fill your (3 x 8) rack. 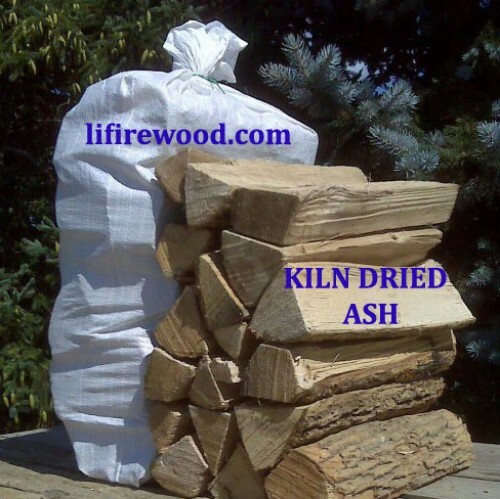 If you haven't burned Ash before, then you don't know what you're missing. It burns hot & creates great coals. Once you try our KILN DRIED Ash you may be spoiled. They make baseball bats from Ash for a very good reason !! It is sure to be a hit with you. Very limited quantities. Available in March & April ONLY. Split Diameter: medium to large ? Delivery: 2.0 cu ft bags x (16) ? Rec. Use: wood stoves ?